Today's guest post comes from Amy Zierath of Lilibet Design. Sunday mornings at the Farmers Market at Fort Mason are always a delightful way to spend the morning, and this past Sunday was enhanced by the Unique San Francisco Fall Market that was held at the Festival Pavilion on Saturday and Sunday. Quite a number of local merchants participated in the show as well those from LA, Portland, and Albuquerque. I never cease to be amazed by the ingenuity and creativity of the merchandise featured at these shows, and products are featured that you never thought you needed but after seeing can’t imagine how you would live without. The black Breton striped long sleeve shirt with flamingo from BlastoffBaby was one of the first items to catch my eye at the market. Founded in 2012, Emily Bennett has created a line of children’s clothing that is gender neutral, bright and cheerful and breaks down the stereotypes for color and pattern for traditional children’s apparel. Girls can rock t-shirts with construction equipment, and boys can wear pink. Based in Palm Springs, LeslieShockley of Tea with Iris, is a strong proponent of up cycling and creating products inspired from her own garden. Some of the highlights from her boutique featured all organic onsies with cutouts sewn in from vintage textiles and picnic blankets. She has a rather terrific collection of tea towels that she has transformed into stylish Picnic Blankets. A single tea towel takes the center of the blanket and is framed with coordinating panel of vintage fabric. They are rather sturdy and long lasting with a waterproof tarp so they are easy to clean. 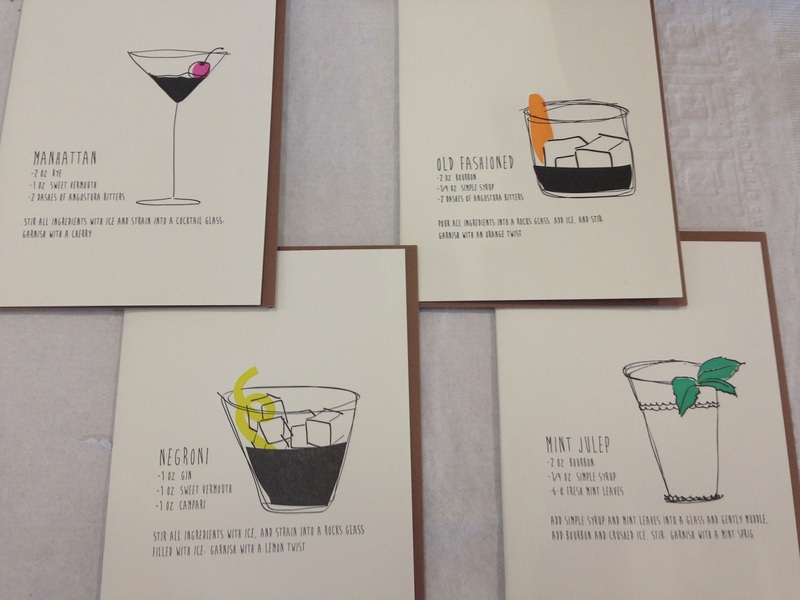 Another item that caught my eye are the cocktail greeting cards from UnderwoodLetterpress, which is based in Los Angeles. Cara Underwood, the proprietor, makes stamp collecting really cool and turns the most basic envelope into a work of art. 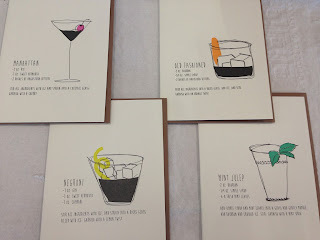 However, she had me at Manhattan and I adore her line of greeting cards that features cocktail recipes and a snippet of cocktail art. Definitely a great gift item and the perfect accompaniment to a hostess gift or a surprise card for a friend. As someone who has juggled many a bottles of wine, casserole dishes, and flowers on the San Francisco cable cars enroute to a potluck or dinner party over the years, I don’t know how I survived without the creations of Shujan Bertrand, the San Francisco genius behind åplat. Founded in 2014, Shujan has created a collection of sturdy and rather attractive carriers for baguettes, casseroles, baked dishes, flowers, etc. that are designed to withstand the urban commute whether it’s on foot, bicycle, taxi, or public transit. Overall, the attendance was low for this show. Perhaps it was the sunny hot weather that prolonged summer or that people weren’t familiar with the shops because most were from outside the Bay Area. However, it drives home to me that there is a very real connection for success in these shows with the relationship that local shops have with the community, and we are very lucky to live in a community that supports and thrives on the entrepreneurial spirit. Thanks for joining us, Amy! We appreciate your report from the craft show front-lines.